Balayage is a trending style right now, and it isn’t going anywhere. We have a Balayage collection like no other, and by the end of this, you will see why we love it so much! We have colors exclusive to us, and us only! We have several shades in our Balayage collection specially designed by the Queen herself. You can’t find these colors anywhere else! 2. Most extension companies only offer ombre, not balayage in there store! The Queen C Balayage Collection has only the truest of balayage styles and shades. You never have to worry about it being one solid color on top, and one solid color at the bottom! The one thing about getting the balayage style in your own hair is the potential and probable damage! Your hair may have to go through several processes to get the desired color. What is amazing about our Balayage Extensions is that you can get all the color with none of the damage! When wearing them, it creates a balayage effect all throughout your hair, not just the ends! 5. You get rewarded for your purchase! 6. You can choose your length! Why purchase one length and have to pay for it, just to decide it’s too long and cut it off?! You can choose to get 18 inches or 20 inches in your balayage set, so the length is perfect for you! Let’s face it. Wearing your hair the same way all the time can get old. But the other problem; some styles look a lot harder than they really are, so how do you get that cute bun or braid? We have all of our tutorials here so you can decide which style you want next, and it can be easy! Click here to see all of our tutorials. You can’t get this great of quality for this great of price anywhere else! Your happiness is our number one priority, so keeping our prices to a minimum is just one of the ways we can show you our appreciation! 9. They’re great if you love to change up your hair color! One of the great things about our Balayage Extensions is that one day you can have solid color, and the next you can put your extensions in and have a totally new look. 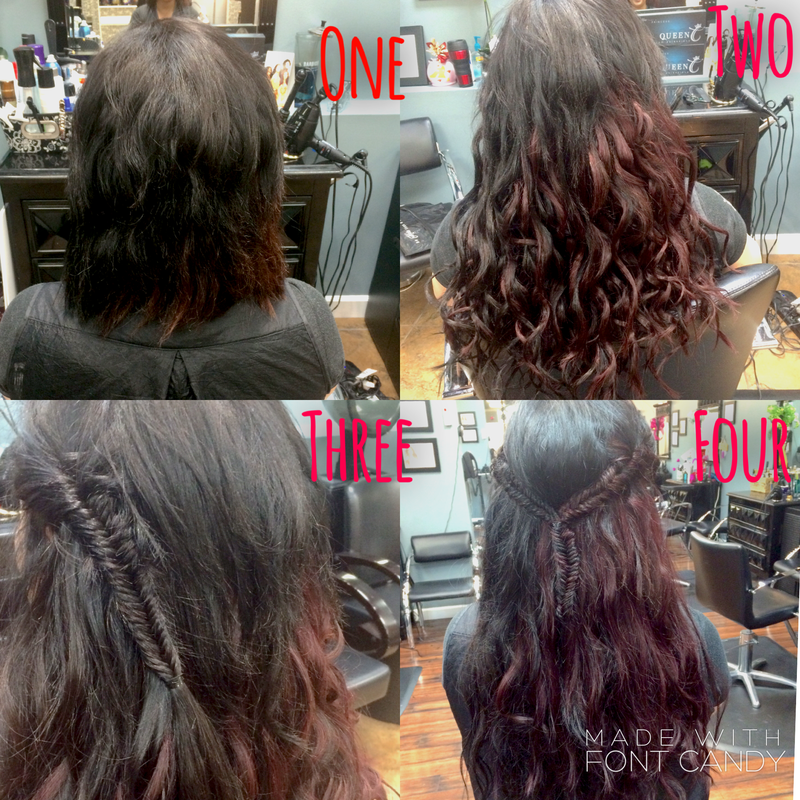 Want to know more about these extensions? Give us a shout with any questions you may have! The wait is over… The tutorial for the amazing Triple Fishtail Braid is here in perfect timing for the holidays! If you can’t do a fishtail braid, you can certainly do this style with a regular, three-strand braid! It is so easy, here are the steps. 3. Start a fishtail braid on each side of the head and secure them together in the middle of the head with a clear hair band. Once met in the middle, take both sections and convert them into one braid. Secure the braid with a clear hair band. 4. On each pleat of the braid, pull out a small amount of hair to make the fishtail loose and messy. This just makes the braids go perfect with those beautiful waves. This style is so much easier than it looks, and everyone will be asking you how to do it! Have a style you love, but don’t know how to do it? Let us know in the comments below, and we will post a tutorial on it just for you!